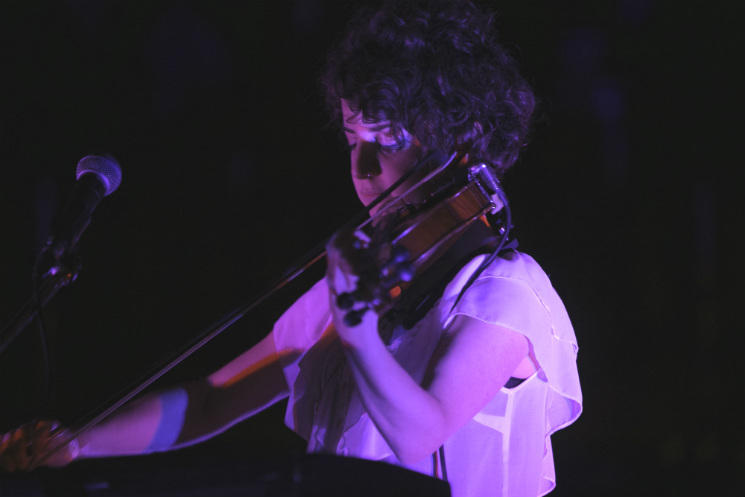 If you're the type to scan liner notes, then Mika Posen is a name you've likely come across, having played strings on a number of records by Timber Timbre, Forest City Lovers and Agnes Obel. With Merganzer, Posen moves from the liner notes to the front cover. What's exciting about this project is how mercurial it is, sounding like a hybrid of Posen's previous projects — the gloomy unease of Timber Timbre, Agnes Obel's strikingly simple melodies — without ever settling on one in particular; Merganzer's sound is definitively her own. That's due in large part to Posen's "Mikatron," a collection of samples she made using her violin that form the bedrock of these songs. The music was haunting, with Posen's sweet, light vocals floating above and sometimes breaking through the dreamy miasma sustained by her backing band. There was a kind of retro, haunted feel to the performance, though it threw back to no time in particular, and never at any point sounded dated.